LinkedIn’s Silicon Valley headquarters. Image © Jasper Sanidad. We live in a time when the creative economy reigns supreme and most organizations view “creativity” as the most valued currency. We are seeing companies like Airbnb and Twitter led by creatives, and not just business grads. Companies are paying a premium to attract and retain employees who are smart and imaginative. The big question is, once you secure outstanding talent, how do you keep the creative juices flowing and help employees feel more connected to their company’s culture? 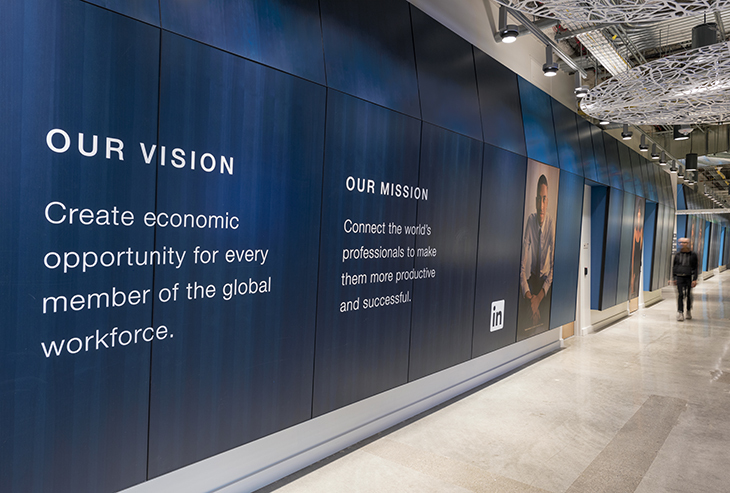 Beyond wellness programs, transportation services, catered food & beverage, and other amenities, companies are creating enriching experiences and deeper engagement with employees as soon as they physically step into the office through unique brand touchpoints, called environmental graphics. Whether you call it a restroom, bathroom, toilet, water closet or washroom, it’s the space we all prefer to have the most privacy and security. Yet the restroom is having an over-exposed moment. The gender-neutral restroom movement is in full swing, and cleverly hybrid signs that stitch together dresses and pants are everywhere we turn. 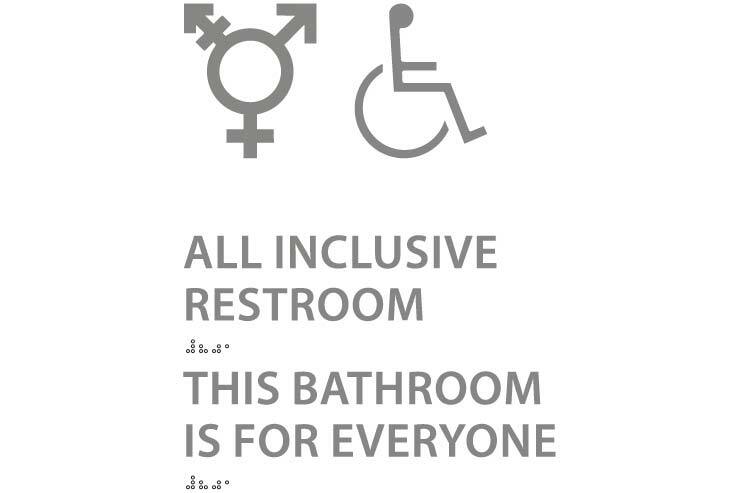 Incorporating gender-inclusive restrooms in public places is as simple as that, right? You just put up a new sign.